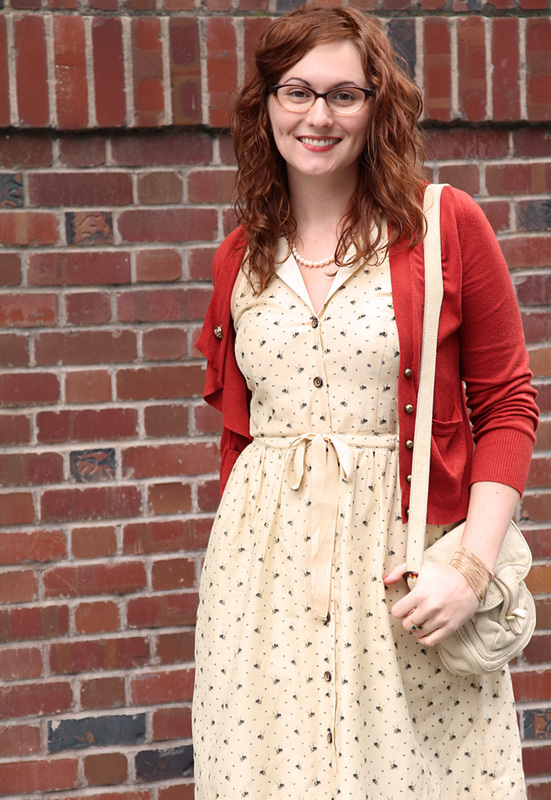 Dress, Cardigan: Anthropologie. Shoes: Seychelles. Bracelet: via Craft Fair. Ring: Vintage. Bag: Anthropologie. Glasses: Martin&Martin. 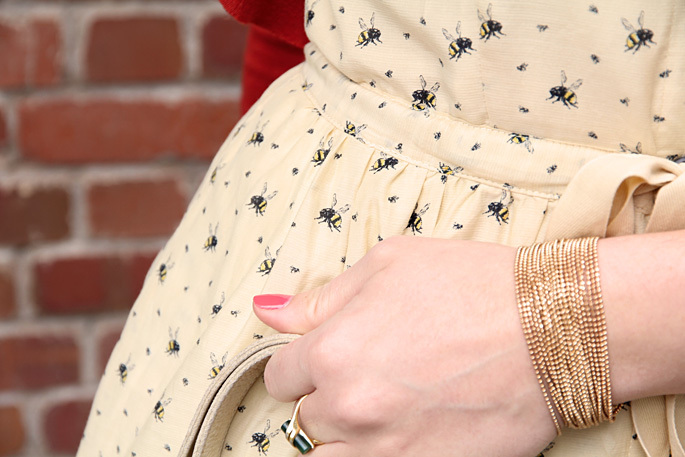 I got this dress because, well… it has bees on it. And as we all know, I’m a sucker for quirky prints. 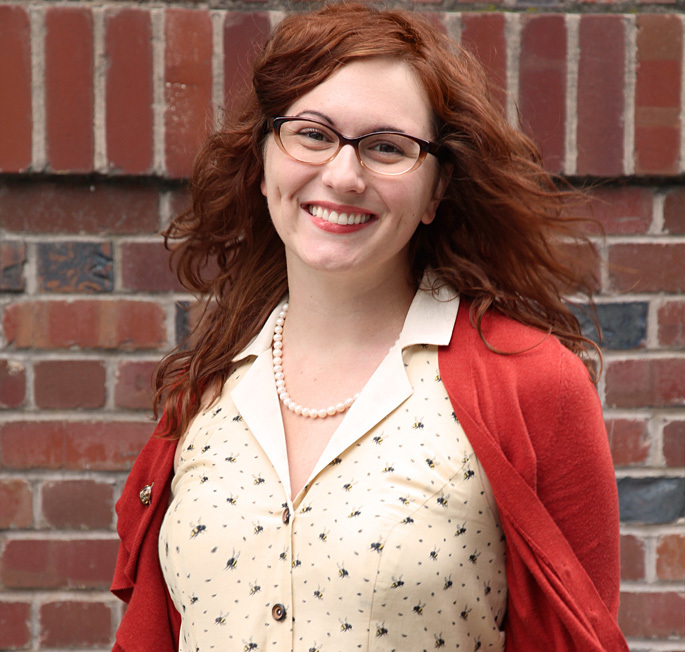 It’s also really really comfortable which made me feel sort of like I was wearing pajamas to work (the drawstring doesn’t help either), but I think the overall look is more ‘laid back librarian’ than ‘girl that forgot to get dressed for work’. It was too chilly when I took these photos to show off the fun cut-outs in the back, but I assure you they are there and they are cool. I’m sure I’ll wear it again when the weather warms up, so you’ll just have to wait for the sequel. such a pretty dress! love the print & color!